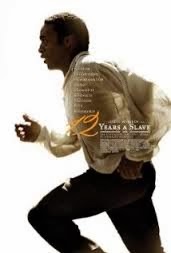 Review: This is about a New York State citizen named Solomon Northup who was abducted and sold into slavery. One amazing true story! Based on the book of Solomon Northup. All the way through I couldn’t believe what I was watching. Steve McQueen stated in an interview that this should be as famous as Anne Frank’s story. They couldn’t have done this film without Chiwetel Ejiofor. His performance was extraordinary. The role must have been impossible for him to do but he did it so well. When Steve McQueen first came up with the idea of this film and approached Chiwetel Ejiofor he wasn’t sure whether to take it on or not. It is a very tough film to watch. The actress Lupita Nyong’o did a fantastic job. I hope that both Chiwetel Ejiofor and Lupita Nyong’o both get an Oscar because they both deserve one. There are several times where you might find that you have to look away because it is so harrowing. You never really got a sense of what the time was in the years he was a slave. The only criticism that I have is the five minute scene towards the end with Brad Pitt. Yes he produced it and was a good producer but should not have acted in it. This deserves all the awards it can get. A must see!! A fabulous review Beth! I am currently reading the book & can’t wait to see it on film. Keep up the good work!